MOVIE "CONTACT" MAY BE THE DRY RUN OF THE ACTUAL SCENARIO WHICH WILL "REVEAL" THAT ALIENS ARE REAL! ANTICHRIST WOULD THEN BE CLOSE AT HAND!!! - Christian Updates - New World Order. MOVIE "CONTACT" MAY BE THE DRY RUN OF THE ACTUAL SCENARIO WHICH WILL "REVEAL" THAT ALIENS ARE REAL! ANTICHRIST WOULD THEN BE CLOSE AT HAND!!! The New World Order Plan envisions Aliens appearing at the time of the staged appearance of Antichrist. The movie, "Contact" may be the final conditioning vehicle which will convince us that Aliens actually exist. In fact, we wonder if the story plot of this movie is the actual sequence of events which will unfold on our National News when the timing is correct! NEWS BRIEF: "Sagan's widow says movie affirms his life, beliefs", by Marcia Dunn, Associated Press, The Sun Chronicle, Attleboro, Massachusetts. Monday, July 14, 1997, Entertainment Section, page 21. "CAPE CANAVERAL, Fla. -- She made him promise, again and again, that she wouldn't have to go alone to the premiere of 'Contact', that he'd live long enough to see his science fiction novel portrayed on the big screen. Celebrity astronomer, Carl Sagan, died in December after a two-year battle with bone marrow disease. And now his widow, Ann Druyan, is making the movie rounds alone. 'This is really painful', she said softly in an interview late last month. 'But also, in a way, when you love somebody with all of your heart and they die, part of you is walking around thinking, I want the whole world to remember this person, and feel what I feel.' "
The film about humanity's first contact with intelligent life elsewhere in the universe, which opened July 11 and stars Jodie Foster and Matthew McConaughey, is 'the most beautiful possible expression of the things that were most important to him,' Druyan said. 'Because I don't believe in an actual afterlife, it means a lot to me that Carl's ideas and what we stood for are given a kind of dramatic expression in this movie." "In 'Contact', Foster plays Ellie Arroway, a searching, agnostic, astronomer who receives a radio message from the distant star Vega, 26 light-years away. It [the message] turns out to be the blueprints for a spaceship to transport someone to Vega -- or beyond. And Ellie Arroway ends up being that someone." "Dryan considers Foster 'a brilliant Ellie. One thing that struck me watching the movie, one of the many things, was I kept looking at her and thinking, You know, she really reminds me of someone, and I can't think of whom it is ... And then, about two-thirds of the way through, I realized it was Carl ... that she captured something of that kind of passionate need to know.' "
"Like Ellie in the movie, Sagan devoted his life to science, contributing greatly to the search for intelligent extraterrestrial life ... Sagan, who with his wife, served as co-producer, met several times with Foster during the production of 'Contact' ... Foster said she'll never forget their last real exchange just a month before he died. The scientist gave her and a few other actors one of his usual lectures, complete with slides. They talked not so much about science as about humanity and 'the god of the gaps'." "Here's her take on what she learned that day: 'For centuries, when we've had gaps in our knowledge or our consciousness, we've filled that gap with the word, God. Why do birds fly? We don't know, God must be there. Then science has, continually in the evolution of our consciousness, started filling in the gaps. The big question is, where does God go?' "
I have seen "Contact", and I realized, very soon in this movie, that the core subject was most definitely religious. In fact, there were three religious views espoused in "Contact", but the predominate one was the religious world view held by Dr. Ellie Arroway, the agnostic-almost-atheistic astronomer. And, of course, we have just learned from Carl Sagan's wife that the views held by Dr. Arroway in the movie were the same as those held by Sagan. This religious world view is the view of the coming New World Order, so we had just better understand it. Early in the movie, Arroway poses the question, "What if science proves that God never existed"? Of course, she is speaking of the Judeo-Christian God of the Holy Bible, the one in which we Fundamental, Bible-believing Christians believe. The idea that a man like Carl Sagan could spend his entire life looking earnestly into the mysteries of science, depending upon the continued orderliness of the laws being discovered, and using discovered laws to discover other laws, and yet refusing to believe in the Law Giver, God, is beyond me. How can a scientist continually look at the intricate design and function of this universe, both in the Macro and the Micro, and then turn around to deny the existence of the Designer, God, is again completely beyond my comprehension. Surely, the Bible is true when it says that spiritual truth is spiritually discerned. Listen carefully to the Apostle Paul, in Romans 1:18-22, as he discusses men like Carl Sagan, who suppress the spiritual Truth when they were exposed to it. "For the wrath of God is revealed from heaven against all ungodliness and unrighteousness of men, who hold the truth in unrighteousness"
Here, we see men who despise the truth of God, and who reject this Truth because of their wickedness and their refusal to submit to it. These type of men then repress and hinder God's Truth, making it inoperative. Then, Paul tells us what the next step will be for this type of man. "19 Because that which may be known of God is manifest in them; for God hath showed it unto them. 20 For the invisible things of him from the creation of the world are clearly seen, being understood by the things that are made, even his eternal power and Godhead; so that they are without excuse." God has revealed Himself in Nature. Indeed, God has revealed His glory, His Omnipotence, His Omniscience, and His Eternity, through Nature. Men are totally without excuse when they refuse to believe the Truth, that they might be saved. Then, the final step in this poor person's spiritual journey is taken, again recorded by Paul. "21 Because that, when they knew God, they glorified him not as God, neither were thankful; but became vain in their imaginations, and their foolish heart was darkened. 22 Professing themselves to be wise, they became fools." Poor Carl Sagan and the multitudes of people who blindly follow him into a Christ-less eternity.! Professing to be one of the most intelligent, most renowned astronomers of his day, Carl Sagan thought himself so smart that he habitually gave lectures to the actors and actresses on the movie set, complete with slides, for crying out loud!!!! Yet, Sagan did not realize how much of the fool he had become. Truly, God has spoken well, when He said, "The fool hath said in his heart, There is no God." [Psalm 14:1; 53:1] Carl Sagan was one nanosecond into eternity when he came face to face with the God, Jesus Christ, Whom he had so ardently denied during his lifetime. Today, Carl Sagan is a most Fundamental, Bible-believing individual, but such belief now will do him no good now, for eternity!! But, on Earth, during this End of the Age deception, the influence of Carl Sagan lives on in movies like "Contact" and through countless ways in countless lives. "Contact" depicts four (4) types of belief in God. Let us briefly examine each one, because much can be learned about the coming new global system by this exercise. 1) The predominate world view was that espoused by Dr. Arroway. She was agnostic at best, and atheistic probably. She posed the question, "What would happen if Science just proves that God never existed"? Then, later when she was being interviewed as a possible Earth representative to go to the Vega system, she refused to state that she believed in God in any way, shape, or form. One of her questioners reminded her that, since about 90% of Earth's inhabitants believed in a Supreme Being of some sort, it seemed inappropriate to send as a representative of Earth someone who did not believe in some sort of Supreme Being. Dr. Arroway (Jodie Foster) provided a formidable case for anyone who really did not want to believe in God. She was exceedingly smart, very resilient, very determined, very accomplished in her field of mathematics and science, very polished in her demeanor, and very, very human. Several times, I cried during this movie, as I empathized with her human frailties and her genuine emotions. 2) The second world view was espoused very effectively by Dr.
. When Palmer Joss and Ellie Arroway met early in the movie, he identified himself as a person who had gone through religious seminary, but dropped out because he could not tolerate the enforced celibacy. Therefore, Joss must have trained as a Roman Catholic priest. Joss then said that he was very concerned over the impact that modern technology was having on Third World nations. Such a belief suggests strongly that Joss' Catholicism just might be of the New Age variety. In fact, the "Contact" Web Site sponsored by Time Warner, www.contact-themovie.com, says this about Palmer Joss' role. " " Joss is very smooth and convincing in his sophisticated role..
Later on, when Joss reappears as a Presidential religious advisor, he strongly makes his case to Arroway that she needs to have a faith in God. However, I found it very instructive that Joss never mentioned the name, Jesus Christ, in his dissertations with Arroway. His discussions with her about his faith in God were very consistent with the view of God espoused by Freemasonry. Their theme of God as the Master Architect of the Universe comes out strongly in this movie. Is this the reason that we consistently saw the massive obelisk in this movie, usually standing majestically in the background? You might know this magnificent obelisk as the Washington Monument, a most impressive Freemasonry tribute to George Washington, the First President of the United States, and a Freemason. You see, Freemasons revere the obelisk for the same reason that pagans throughout history have revered it: they believe the spirit of the Egyptian Sun God, Ra, dwells within the obelisk. Thus, in these two main characters, you have the two major driving forces behind the New World Order: 1) The mystery atheism of Carl Sagan, also known as New Age; and 2) The general belief in God as the Supreme Architect, of the Freemason. Both Arroway and Joss represent their respective religious viewpoints well, and each undoubtedly found sympathy with many in the viewing audience. leader of a right-wing religious coalition, undoubtedly patterned after the Christian Coalition. Rank is shown as being very worried, that people might stop believing in the message of Christianity if they start believing in Aliens from other worlds. Rather than being shown as an eager participant in learning the "truth", Rank is shown as merely being interested in maintaining the current status quo. In other words, he is shown as merely being interested in keeping enough people believing in Christianity to preserve his job!! Rank comes across as being very superficial, very shallow, and very ineffective. I would not want him arguing any position in any debate. This view is the one that the New Age leadership views with disdain. They do not respect this type of individual, a person cut of the same cloth as Jimmy Baker. They correctly perceive such an individual as a hypocrite, who is not "into" Christianity because they truly believe its doctrines, but only because they can see a good opportunity to earn large amounts of money by preaching it. In the end, New Age leaders are convinced that such "Christian" leaders, and the vast majority of their followers, will be so shallow that they will easily convert to the new world view. And, you know something, I believe this view is absolutely correct!! 4) The fourth religious world view was Fundamental Christianity!! The person who espoused this world view was a lunatic evangelist, whose name I did not grasp. This "Fundamental Christian" was dressed in white shirt and black pants, was wearing a necklace of the Christian cross, and had shoulder length golden hair. His teeth were crooked and ugly, and his eyes looked like someone to be greatly feared. Soon after the original message was received from Vega, a huge crowd of mostly weirdo's descended upon the desert site of the 27 satellite dishes. Arroway was returning to this site, and was riding in a van, in the front seat; she studied the lunatic preacher for a brief moment of time, as the van slowly rolled past his tent from where he was preaching. You could see the revulsion in her eyes. The preacher was saying that the Earth should not contact these Aliens in any way, shape, or form. We do not see this lunatic preacher until the world is ready to test launch the vehicle that will send the Earth representative through the wormhole, otherwise known as the Interdimensional Portal. Just as the accelerator machine was reaching full power, Arroway realizes that one of the workers on the platform was this lunatic preacher dressed up in worker's clothing. As she sounds the alarm, and security officers run to capture the lunatic preacher, his clothing is partially stripped away to reveal a bomb underneath! The bomb blows up immediately, killing the lunatic preacher and 12 space personnel. The bomb also blows the special accelerator machine into thousands of pieces. You could almost feel the mood of the listening audience as they empathized with the sorrow of Arroway and the other scientists. The Earth seemingly had lost a golden opportunity to reach out and communicate with friendly Aliens! What an unparalleled opportunity down the drain!!! How could this be? Who is to blame? While the movie does not detail this issue, it is apparent to everyone that the people to blame are the followers of this lunatic Fundamental Christian!! Not only are the beliefs of this group wrong, they are dangerous to society and to the entire civilization, because they will act as terrorists to maintain their religious status quo. For several years now, we have been warning that the Mass Media consistently paints Fundamental Christianity as a danger to American society. We see this most stridently in the issue of Abortion. Many Christians feel so deeply about the sinfulness of killing innocent human babies before they are born, that they are willing to participate in demonstrations to convince enough Americans that Abortion is an evil that must be eliminated. However, virtually no Fundamental Christian feels that murder is justified; yet, each murder of an Abortion doctor or worker is hung around the collective necks of all Fundamentalist Christians! When the craziness of Waco was finally over, many Americans were left with the distinct impression that David Koresch's belief in the literal interpretation of the Bible was a huge part of the problem. Fundamental Christians have been consistently portrayed in our society as dangerous evils that must be eliminated for the safety of society. This movie sets forth this belief very strongly. Believe me when I tell you that New Age leaders absolutely hate Fundamentalist Christians, viewing us in the same light as Hitler viewed the Jews! Will "Contact" be considered, later, as being the modern equivalent to the Nazi film, "The Wandering Jew"? This film so graphically portrayed the Jew as being as filthy and undesirable as the common rat that it persuaded millions of Germans that the Motherland would be better off without them. Thus, Hitler's planned Holocaust faced no serious objection when it began in earnest a few years later. Will this film, "Contact", be considered this powerful of a propaganda tool against the Fundamentalist Christian? We can only wait and see. This, then, is the basic movie plot: Friendly Aliens finally contact Earth, and the only people capable of dealing with the situation are the "enlightened" atheistic scientists and the Freemason type of religious individuals. The people that are totally incapable of dealing with the new reality are the Christians. The Liberal Christians are very afraid they might lose their constituency and the Fundamentalists turn into terrorists. We wonder if this movie isn't the final step in the Six Step Attitudinal Change Plan ( NEWS1055 and NEWS1070) to convince people of the reality of Aliens so that the appearance of Antichrist may be successfully staged. Remember that the vast majority of people would not believe the claims of Antichrist unless they first believed in Aliens living on other worlds. Not only does this belief destroy the underpinnings of Christianity, it also causes people to believe in a critically important element of what the Antichrist is going to be telling people. He will claim to be an Ascended Master, possessed of the same Christ Conscious Spirit which inhabited Jesus, Mohammed, and Buddha, all in their time and geographical location. Antichrist will say that he as gone through many reincarnations, each time rising ever higher in spiritual enlightenment, to the point where he is now ready to lead the entire world into a new and dramatically higher level of spiritual consciousness. Some of these incarnations were spent on this Earth and some on other planets; therefore, Antichrist is logically claiming to be an Alien!! People must believe in Aliens and life on other planets before they will believe in Antichrist!!! In NEWS1069 we reported that the New Age Web site, www.farsight.org contained some startling information concerning the appearance of Aliens. Using the New Age "technique" of "Scientific Remote Viewing (SRV)" occultists were predicting that, soon, President Clinton was going to be announcing that Earth had, indeed, been contacted by Aliens!! At the time we wrote this article, we felt that, just maybe, this scenario was so farfetched that you, our readers, might lose faith in us! But, we felt led by the Holy Spirit to go ahead with this information. The most startling part of this movie, "Contact", is that it contains just precisely this scenario!! President Clinton holds a press conference in which he, and his spokesmen, do announce that Aliens have contacted Earth!! He takes the global leadership role in planning and executing Earth's response. And, the United States takes the leadership role in building the special spaceship which will take Earth's representative through the wormhole and to the star system, Vega. The United States even shoulders most of the expense to build this space ship and its accelerator, which cost one-third of a trillion dollars each, and we build two of them!!! We wonder if this scenario in "Contact" isn't a dry run of the actual event, not too far in the future? In NEWS1096, Mars Deception Update, we report that another SRV occult viewing showed that a massive wormhole, also called an Interdimensional Portal, had been discovered very near the orbit of Mars!! This is the same type of wormhole depicted in this movie, "Contact"! In Sketch #4, we show the crude drawing created by the occult viewer, which shows the wormhole almost following Mars in its orbit!! Click here and scroll to the bottom of the page to view Sketch4. All this information causes us to ask again, is the current Mars probe by NASA a part of the overall plan to "discover" the existence of Aliens? In the movie, "Contact", Aliens contacted earth only after they received a television transmission from the 1936 Olympic Games. In other words, Aliens contacted Earth only after Earthlings made the first move out into space. Could the actual scenario by which Aliens do manifest themselves in our sphere come now that we are actually exploring Mars? Such a scenario seems very logical. Most people on Earth would be able to believe this scenario. But, this time, the outcome would be far different than the outcome depicted on "Contact". In this actual New World Order scenario, the appearance of Aliens would be closely followed, or perhaps preceded, by the appearance of Antichrist. Listen again to the words of author, Bill Cooper, in his book, "Behold A Pale Horse". This incredible statement comes from a New Age author who has demonstrated no specific knowledge of Biblical prophecy; yet, as he lists the various elements of the Plan to bring about the appearance of Antichrist, he unknowingly lists several elements of prophecy. 1) Earthquakes --- Foretold as integral part of End of the Age scenario -- Matthew 24:7; Mark 13:8; Luke 21:11; Revelation 6:12; 8:5; 11:13, 19; 16:18. Jesus' prophecies in these first three in the Gospels also contain the idea that the prevalence and intensity of earthquakes would dramatically increase as the world careens closer to the appearance of Antichrist and his kingdom! Certainly, we have seen this phenomenon occur in the last 4 decades!! 3) The Messiah -- This is the Antichrist -- Daniel 7:7-8; 7:19-26; 8:23-25; 9:27; 11:36-45; Revelation 6:2-3; 13:1-10. We are very close to his appearance, as foretold in Rev 6:2-3. The man of sin, Antichrist, is about to ride forth, conquering the world with diplomacy and signs and wonders. 4) Extra-terrestrial landing -- As secular author, Jacques Vallee, wrote in his book about UFO's and Aliens, "Messengers of Deception", Aliens are producing deception among its contactees and devotees that is slick, effective, an unprecedented. Consider these prophecies of deception related to the appearance of Antichrist and the establishment of his kingdom. Extra terrestrials are simply the most advanced form of deception the world has ever seen. Again, as secular scientist, Jacques Vallee, says, Aliens are promoting a New Age religion, and are exercising mind control, and many other occult phenomenon, in order to completely deceive their human victims. Do not be deceived: Aliens are simply demons manifesting themselves to humans only in order to deceive. 5) Economic collapse -- Revelation 5:5-6, reveals that, shortly after Antichrist arises, people will starve to death because of lack of food, and that a man will have to work for an entire day just to be able to buy that day's food. Economic collapse is an inevitable part of the Kingdom of Antichrist, and is an integral part of the New World Order Plan. Take heed: this economic prosperity in the United States is going to come to an end abruptly. Tax law changes since 1986 have made forms of investment other than the stock market less attractive. Therefore, institutional investors have been consistently transferring monies by the billions into the stock market, thus greatly driving the stock market to unbelievable highs. What this means is that a greater percentage of the total wealth of the nation is in the stock market than at any other time in world history. When the stock market is deliberately crashed, a greater percentage of our nation's wealth will be lost instantly than at any other time in our history!! Of course, when our stock market crashes, the other stock markets of the world will also crash. Out of the ashes of this total economic collapse, the New World Order economy and its cashless system of exchange, will also occur. Such is the Plan. Do not be deceived, the New World Order Plans of the Illuminati fulfill Biblical prophecy to a startling degree! 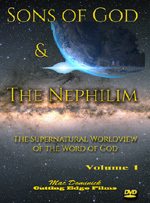 New Age author Bill Cooper has just been bold enough to tell us in advance! I am constantly amazed how boldly the total Plan has been printed in New Age books. It is almost as though the Illuminati wanted New Age adherents to know the Plan, and as though they never believed that anyone other than a New Ager would ever discover these books!! But, of course, God promised us that we Christians would not be deceived (Matthew 24:24) God is surely true to His Word!! In summary, we believe that the movie, "Contact" may be the "dry run", practice scenario which we will actually see occurring soon. Remember, the key is multiple crises, as Cooper describes above! When you see annihilating war in the Middle East, be prepared for all these other crises to explode, as well. Let us leave you again with New Age writings which boldly foretell this type of global deception, just for those of you who are not yet convinced. "Their script is now written, subject only to last-minute editing and stage-directions. The stage itself, albeit as yet in darkness, is almost ready. Down in the pit, the subterranean orchestra is already tuning up. The last-minute, walk-on parts are even now being filled. Most of the main actors, one suspects, have already taken up their roles. Soon it will be time for them to come on stage, ready for the curtain to rise. The time for action will have come." [Peter Lemesurier, "The Armageddon Script", Page 252, book written in 1981, to explain to New Agers how the appearance of the Antichrist was going to be successfully staged!!]. Do not be deceived: we are witnessing the enactment of the most incredible global Plan to bring about such disorder and chaos that all the political, economic, and religious systems of the world can be brought into one master system. And, it all fulfills Biblical prophecy. Are you spiritually ready? Is your family? Are you adequately protecting your loved ones? This is the reason for this ministry, to enable you to first understand the peril facing you, and then help you develop strategies to warn and protect your loved ones. Once you have been thoroughly trained, you can also use your knowledge as a means to open the door of discussion with an unsaved person. I have been able to use it many times, and have seen people come to Jesus Christ as a result. These perilous times are also a time when we can reach many souls for Jesus Christ, making an eternal difference.